US forces are "likely" to have killed a top al-Qaeda suspect during a military raid in Somalia, US officials say. They flew helicopters into Somalia and attacked a car they say was carrying Kenyan-born Saleh Ali Saleh Nabhan. 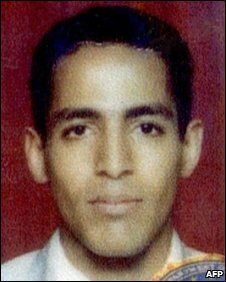 US agents have been hunting Nabhan for years over attacks on a hotel and an Israeli airliner in Kenya in 2002. It is believed he fled to Somalia after the attacks and was working with the al-Shabab group, which the Americans see as al-Qaeda's proxy in Somalia. The BBC's Mohammed Olad Hassan, in the capital Mogadishu, says the raid has raised concern among Somalis. They fear such attacks by foreign forces may help to fuel the extremism they are designed to combat, our correspondent says. The US last launched a major strike in Somalia in May 2008, killing al-Shabab's military leader and at least 10 others. The raid led to protests by villagers and critics say it had little effect on al-Shabab's capabilities. Analysts say Nabhan is one of the most senior leaders of al-Qaeda's East Africa cell. This latest US raid into Somalia, carried out by Joint Special Operations Command (JSOC), would have had several aims. Firstly, it would be about "settling scores" - killing or capturing a man the FBI believes was instrumental in al-Qaeda's attacks in East Africa. A second aim would be to show al-Qaeda's senior operatives that there is no safe hiding place, even in a country whose militants effectively drove out US forces 15 years ago. Thirdly, the raid's planners would be hoping to throw both al-Qaeda and al-Shabab off-balance, disrupting their plans. Although Nabhan's loss will be felt, reports of his death at US hands are almost certain to trigger revenge attacks in the region. US-based Somalia expert Andre le Sage told the BBC's Network Africa programme that his death, if confirmed, would severely hamper the network's ability to operate in the region. But he said new leaders would probably emerge to take Nabhan's place. Various media outlets have carried quotes from unnamed US officials confirming that the raid, on Monday afternoon, was carried out by US special forces targeting Nabhan. BBC Defence correspondent Nick Childs says the raid seems to be something of a departure from recent US tactics in Somalia, which have tended to use long-range missile strikes and aircraft to try to get at militant suspects. A Somali minister told the BBC he also believed Nabhan had been killed. Earlier reports had quoted witnesses as saying the troops wore uniforms with French insignia and had flown from a ship bearing a French flag. But the French military strongly denied their forces were involved. Somali sources told the BBC that six helicopters were involved in the attack on two vehicles in the southern coastal town of Barawe, which is controlled by al-Shabab. A US official was quoted by Reuters news agency as saying special forces had flown by helicopter from a US Navy ship and fired on a vehicle that they believed was carrying Nabhan. He added that the body believed to be Nabhan's had been taken into custody. There have also been reports that another body was taken away by the US attackers. Nabhan is suspected of bombing an Israeli-owned hotel in the Kenyan port city of Mombasa, and trying to shoot down an Israeli airliner in 2002. The authorities in Kenya also regard him as a suspect in two attacks on US embassies in the region in 1998. The US and France both have troops stationed in neighbouring Djibouti. During 2007 and 2008 the US carried out air strikes against Somali Islamist groups it accused of links to al-Qaeda. Monday's assault comes several weeks after a French security adviser held by militants in Mogadishu managed to get free. A colleague seized at the same time remains in captivity. Somalia has not had a functioning central government since 1991. Rival Islamist factions are battling forces loyal to the weak UN-backed government, which controls only small parts of the capital Mogadishu. Al-Shabab are said to have links to al-Qaeda, and to have been reinforced with foreign fighters.